Clear Dental in Sydney is an approved provider of MySmilePlan! 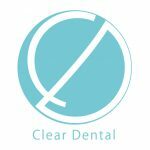 The team at Clear Dental Sydney are committed to providing you with the highest level of quality and care. Their friendly staff will assist with your enquiries and provide you with any additional information necessary for you to make an adequate decision about what treatment you require. Clear Dental Sydney is open 5 days and located an easy walk from all public transport with parking available directly near the centre. All of there treatments are are completed with great care and attention to your comfort and emergency appointments are available every day so they are there for you and your family when you need them the most.